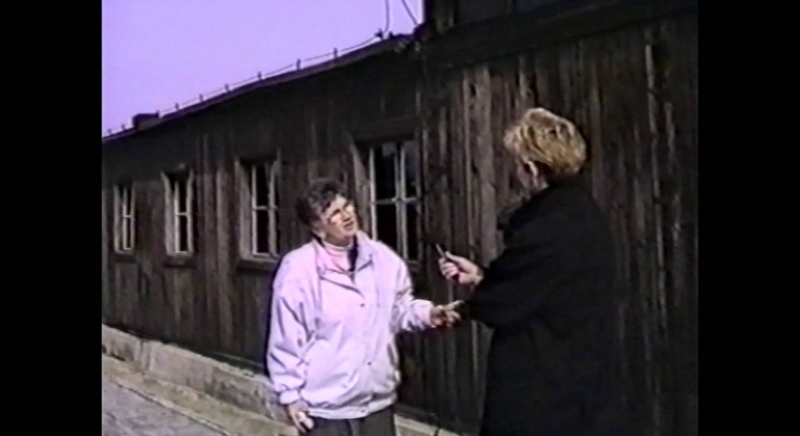 Work at Majdanek, similarly to other camps, was a key means of oppression and extermination employed by the Germans. The prisoners were treated as a source of free, slave labor. The work capacity of every person stepping through the gate of the camp determined their chances of survival. In the case of Jews, being deemed unfit for work was an immediate death sentence. The chances of surviving the camp significantly decreased for anyone growing too weak or ill to perform their duties. Prisoners were grouped in work teams known as commandos. These could number anywhere between several and several hundred people, in some cases even more. The commando names reflected the tasks for which they were assigned or the place where they were sent to work. There were internal commandos working within the camp grounds and external commandos, marched to work outside Majdanek. Commandos were usually supervised by SS guardsmen. Work groups were directed by kapos who served as supervisors, managers or foremen. The direct supervision over particular prisoners/workers was the responsibility of vorarbeiters. Until June 1942, nearly half of the prisoner population worked on the construction of camp facilities. Some were used for other camp related work, e.g. at the washhouse, sewing shop, kitchens, storerooms, offices or infirmaries. Others were sent to work at manufacturing plants operated by the SS as well as other facilities in Lublin. The worst assignments were those involving construction and earthworks, as these were continued regardless of the season or weather conditions. If there was not enough work to occupy all prisoners, nonsensical tasks were assigned involving e.g. carrying earth or stones from one place to another while running and being constantly abused by the guards. There was no hope of survival for prisoners sent to work at the mass extermination facilities – i.e. operating the gas chambers or the crematorium. As direct eye witnesses to the committed atrocities, after a certain period of time they were all executed and replaced with new inmates. The best assignments were those providing the opportunity to obtain additional food or a chance to work indoors.